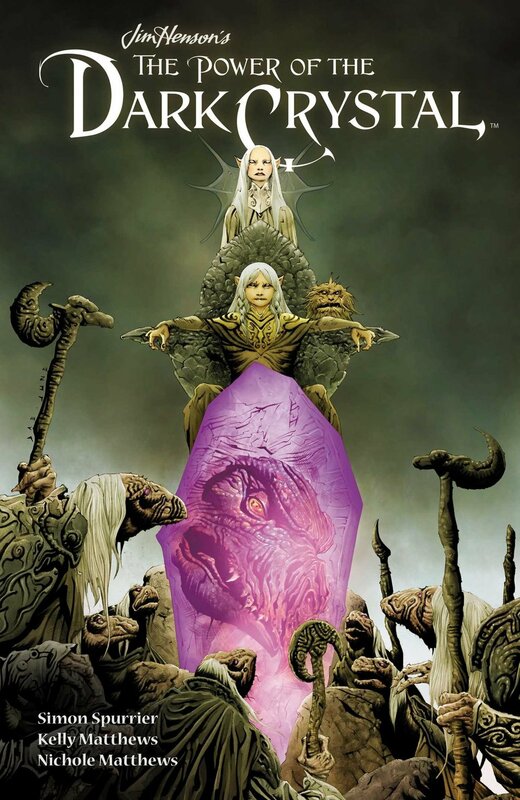 As a big Dark Crystal fan since the movie first came out, I admit to feeling some trepidation about new developments with the franchise. I don't want people messing about with things too much in my beloved worlds. I don't want my heroes to be ruined, I don't want the magic explained too much, especially by people who weren't involved at the story's conception. But at the same time, I get excited about the new possibilities, and I really want more stories about the characters I love. So I picked up The Power of the Dark Crystal cautiously. This comic takes place many years after the events in The Dark Crystal. Peace has been restored to Thra with the healing of the Crystal, and Jen and Kira rule as King and Queen. But as often happens, power has made the gelfings complacent and in some cases, corrupt. We see at the beginning that the world is becoming sick, that the light of the crystal is fading. When the gelflings see this, they demand more offerings from the people of Thra, to make the crystal happy. People line up every day to make offerings to the crystal in order to get a boon, such as healing. We meet a new race of people, the Firelings, who are ailing. They live within the planet, near the core, and a young Fireling, Thurma, has been charged with stealing a shard of the crystal in order to heal the Firelings. The only problem is...well, remember what happened the last time the crystal broke? She breaks the crystal, and boom--instantly we hear the mewling "mmmmMMMMMmmmm" of Skeksis. So, we have Gelflings who are jerks--corrupted by being the ruling race, to the point where they are bullying other Gelfings, etc. We have an aging King and Queen, who seem to still be kind-hearted, but who are sleepy and complacent, and are letting others become corrupt. We have an adventurous Fireling, who will do anything to save her people, and we have a new Gelfing hero, Kensho, who wants to help do good things, but what IS good? For our old friend, the wise Aughra, knows of a prophesy that says if the Firelings are saved, the world of Gelflings will be destroyed. Yet if the Gelflings are saved, the Firelings will die. How can there be a balance? Well, the aging and tired King Jen, along with his companion Fizzgig, are about to go on a quest to find out. And as Jen says himself, "...I'm not sure we're the heroes this time." I was pleasantly surprised with this comic, over all. The writer and artists managed to keep the feeling of the movie, and the personalities of the characters we've known from before remain intact. I'm really intrigued as far as how the problem is going to be resolved in a way that will help both the Gelflings and the Firelings. And I hope the Gelflings mend their ways and discover kindness again. We can see some hope for that in Kensho. It's a great balance of old characters and new that I think will bring in new fans as well as keep existing fans happy. I really enjoyed reading this, and can't wait for the next installment. Also worthy of a mention is Sana Takeda's chapter break artwork, which has an art deco type feel to it. Gorgeous work. 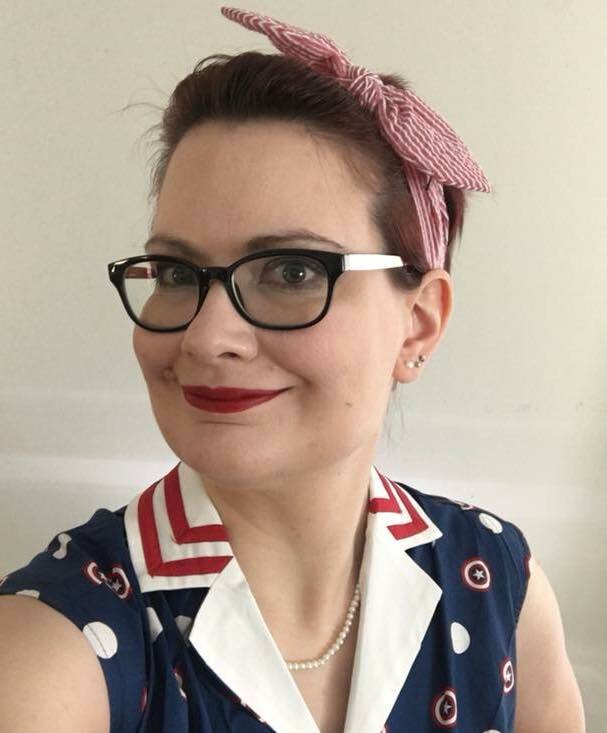 I did a review of the very first issue of Ladycastle when it came out, as well as an interview of writer Delilah S. Dawson. I loved issue one and couldn't wait to read the rest...but of course, as happens, life got in the way and I didn't get a chance to review the whole collection--until now. What the heck was I waiting for? Issue one was a great set up, and the rest of the four issue series delivers perfectly on any expectations I had. Ladycastle is a standalone, four issue story that is now collected in a single volume via Boom Studios. When all the men of the castle are killed by a dragon and leave the rest of the population under a curse, the women take up arms to defend themselves, and learn about themselves as individuals, and what life is like out from under the shadows of the men. The story looks at a lot of issues, such as independence, identity, abuse, strength, emotions, different abilities, body image, etc, in such a way that it's part of the story. The messages aren't heavy-handed but are definitely there. 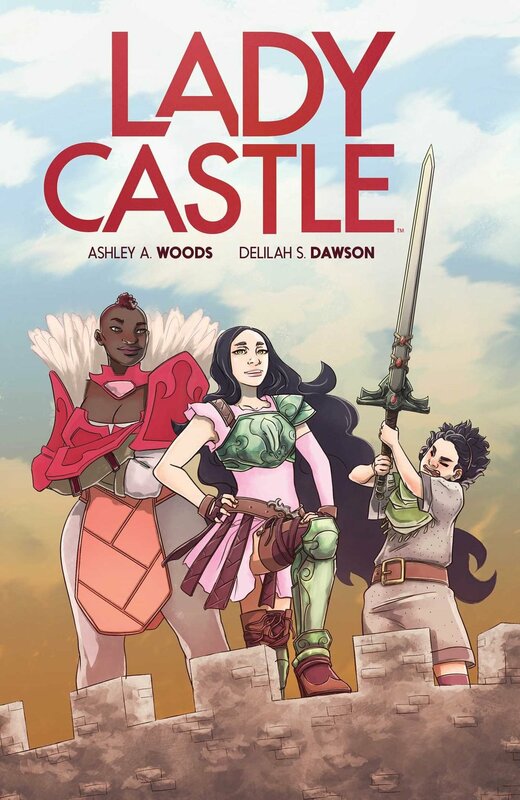 Yet, story trumps all, and readers will love the women of Ladycastle right off the bat for their unique personalities and personal struggles that are very relatable. Characters learn lessons such as, "I don't have to be something for someone else," and "I don't have to be hidden away because I'm different," and "Killing everything isn't always the solution." Yet there is a definite fun thread running through the entire storyline which makes this a very enjoyable read even while it's moving and inspiring. One fun thing about the comic? The Easter eggs. Between Monty Python, Hamilton, Disney, and more, as well as the varying degrees of toilet humor, there are plenty of laughs and fun moments between the serious ones to really make this a perfect story for any mood. The characters make great company, and like I've said about other comics as well, it's very refreshing to see positive relationships between women happening more in fiction and comics. Life isn't a competition, people don't have to be catty and bitchy to each other. Ladycastle is a great example of this. The women support each other, and find strength together. Do yourself a favor and grab this comic for yourself, your daughters, your sons. It really is a comic for everyone!